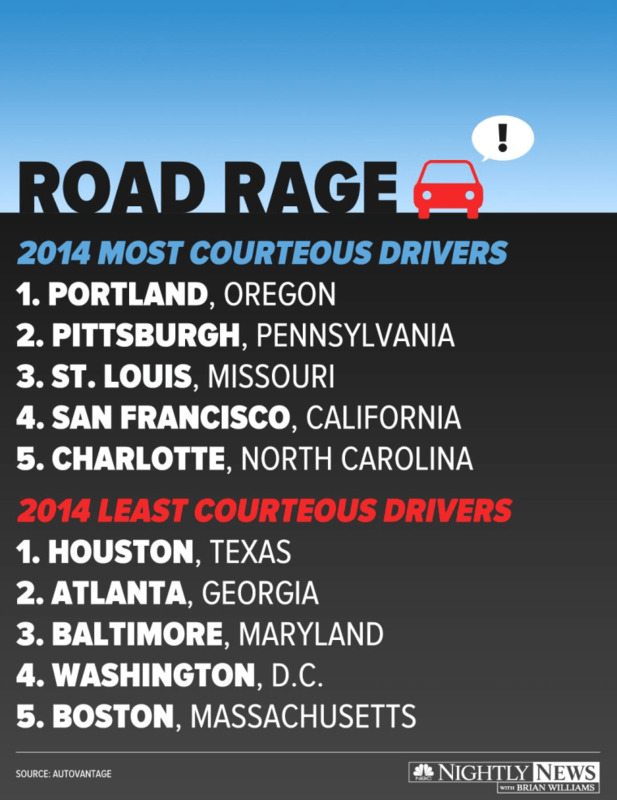 How Courteous Are The Drivers In Your City? AutoVantage, a roadside assistance service, measured behaviors such as speeding, running of red lights, driving while talking on cell phones and cutting across lanes with no notice in major cities to come up with the rankings. The same survey was conducted in 2009 and notably Portland was ranked number one most courteous that year, as well. In 2009, New York City topped the list as least courteous but no longer makes the top five.